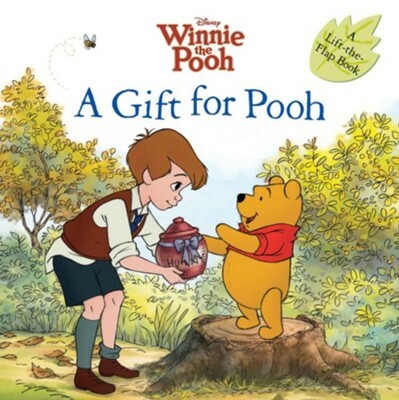 One morning, Christopher Robin invites Winnie the Pooh on a Gift-Giving Expedition through the Hundred-Acre Wood. Pooh wraps a pot full of honey to give away, but with each visit to his friends, his tummy gets a little more rumbly. Who will Pooh Bear give his honeypot to in the end? Lift the flaps of this delightful gift-giving tale to find out! Sara Miller is a published author and adapter of more than 40 children's books featuring, among others, Barbie, Winnie the Pooh, Mickey Mouse, and all the Disney Princesses. She has written books for Disney Press, Scholastic, Random House, and Reader's Digest Children's Publishing. Sara lives in a little house by the beach in southern Connecticut with her two golden retrievers. I'm the author/artist and I want to review A Gift for Pooh.